The Terrace is in a great spot a little bit removed from downtown Salt Lake City. With a variety of floor plans available to choose from, 1- and 2-bedroom units are available here. Liberty Park: This beautiful park includes all the normal park-type activities, plus a greenhouse, paddle boats, festivals, a pond with two islands, an 8-acre aviary with around 135 species of birds, a folk arts museum, and more. Nightmare on 13th: A former car dealership warehouse has been transformed into one of the largest and longest-running haunted attractions in the United States with over 60,000 people attending each year during the Halloween season. Spring Mobile Ballpark: Home of the Salt Lake Bees minor league baseball team. 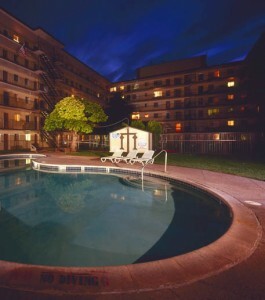 The Charleston is near the University of Utah and close to major shopping and public transportation. Plus, the views are terrific. Hogle Zoo: Utah’s largest zoo, at the mouth of Emigration Canyon, the zoo is the number one paid tourist attraction in Salt Lake City. This 42-acre facility offers affordable memberships that allow for unlimited access. If you have children, sign up. They never get tired of this zoo. My favorite part is the World of Flight Bird Show which features many kinds of birds flying directly over the heads of the audience. My kids love it, and I do too. Utah Museum of Natural History: The museum exhibits everything imaginable about natural history. There are great anthropology, biology, and geology collections, plus there’s a terrific paleontology hall with several cast skeletons of dinosaurs. The museum has a number of outreach and educational programs that are a delight to take part in. University of Utah athletic events: Local residents are quite passionate about their beloved Utah Utes. Attending athletic events is often a lot of fun and there are fierce local rivalries that help keep things exciting. 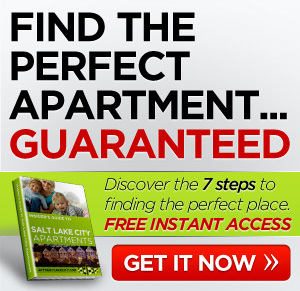 Living in these Salt Lake City apartments offers easy access to some of the best activities available in the area. Check out the complexes and I’m sure you’ll fall in love. How about you? 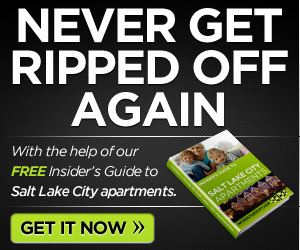 Any luck finding apartments in Salt Lake City? Comment below.